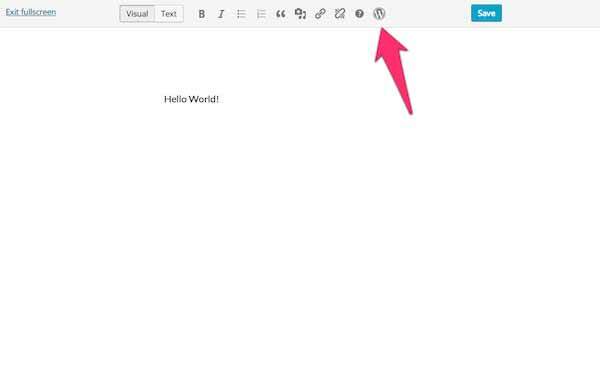 The release of WordPress 3.9 didn’t just update WordPress; it also came with the latest TinyMCE editor, version 4.0. This update marks big changes in the editor API, and there’s a lot of interesting things that you can achieve with the flexibility it provides. To help you on your way, we’ve spent loads of time playing around with the editor to bring you an in-depth guide to making it your own. 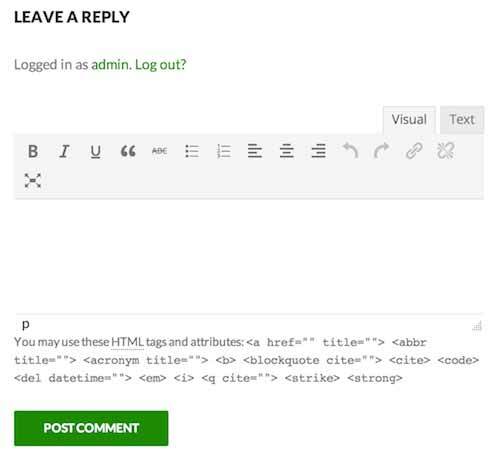 From adding your own buttons, implementing the editor in your comment section to form validation, if you’re interested in PHP and the TinyMCE editor then you’re sure to find something to interest you here. This is quite an extensive article, so we’ve split it into distinct sections, each with their own subsections. If you know what you’re looking for, just click on the links to be taken right there! The code from the following examples may be also found on Github. This section is rather long, so we’ve split it up into easy to manage blocks. Just click the link to jump to the appropriate section. Declaring a new TinyMCE button. Button with custom icon from Dashicons. Button with your own graphics for the icon. As you can see, the above function performs several important operations; it mainly checks user permissions and settings. If all conditions are met, then two filters are added: gavickpro_add_tinymce_plugin and gavickpro_register_my_tc_button. It’s time to change the look of our button and adjust it to match the appearance of the dashboard. For this purpose we use Dashicons – a set of icons in the form of the font used in the dashboard. The text property was replaced by the title property, so that the text disappears from the button and will now appear in the tooltip when you hover over it. We defined the name of the icon used. Unfortunately, at least to my current understanding, without additional CSS you are limited to certain icons. Let’s assume that we are stubborn and want an icon from the Dashicons set which is not defined in the code editor – for example, the WordPress logo icon. As you can see, we added icon as the first class (in order to get the mce-i-icon class), and then we add a dashicons-wordpress-alt class. The list of classes from the Dashicons set is available on the icon list page – All you need to do is click on the chosen icon, so that the CSS class associated with this icon will appear at the top. First of all, we changed the type of button to menubutton; thanks to this, we may use the menu property, which includes the table for a submenu item. 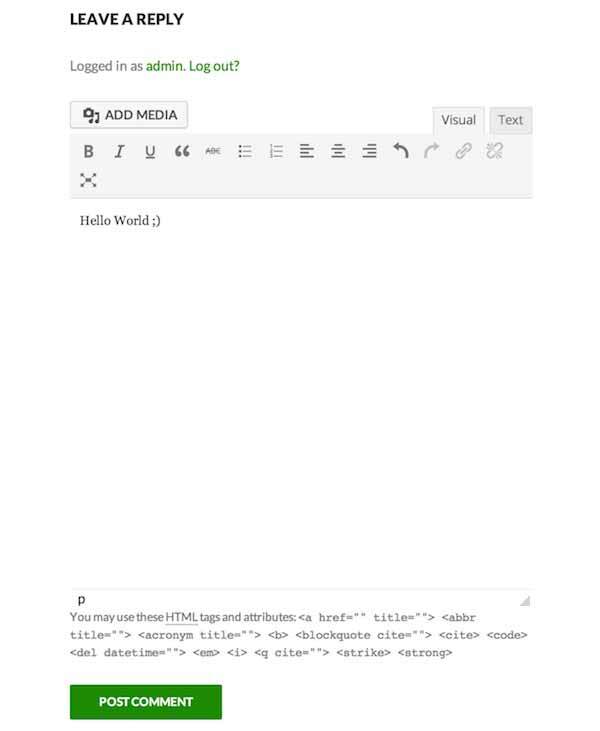 As you can see the submenu position includes text and the value is inserted by clicking (thanks to the function defined in the onclick feature). After this change, our sub-submenu items should correctly react when clicked. As we can see the onsubmit property results in text being added to the editor after changes made by the user are accepted. As you can see, the above function creates a new element of the $locales table, which indicates a translation file named translations.php placed in the plugin catalogue that adds buttons. Sometimes for usability it may be necessary to avoid putting every required functionality under one button – its menu will be too large or too heavily nested as to be virtually impassable. The easiest way around this problem is to just add a second button that contains part of the required functionality. We simply added another item in the $plugin_array associative table and changed the naming slightly – now each button has a common name ending with the button’s number – they will help us to distinguish our buttons from each other. The name of the scripts can be whatever you want. As you can see above, we again used the names that we are already familiar with. We may duplicate this schema as many times we want, though we have to remember not to overdo it as several plugins each adding a couple of buttons may effectively trash the editor. If possible, we should only create a small amount of buttons for our purposes, bearing in mind at the same time that we aren’t the only plugin authors that will be using this functionality. Obviously the question immediately arises; exactly how many button rows are we able to create? 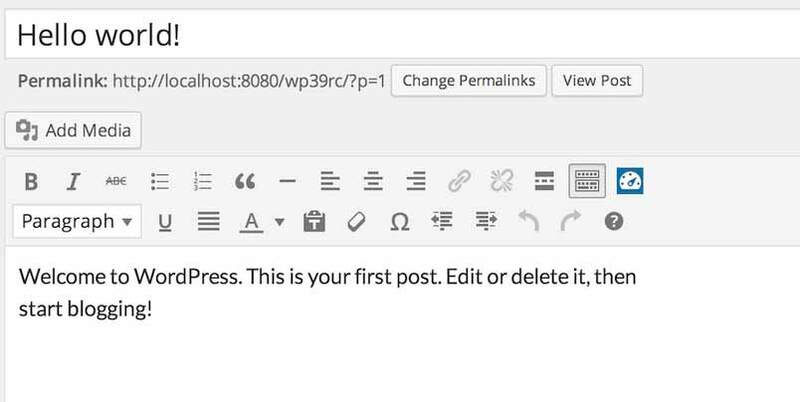 Unfortunately, mce_buttons_10 doesn’t work as we may create a maximum of 4 rows in TinyMCE in WordPress. Hence, the last filter is mce_buttons_4. When we place buttons in rows other than the first one, we should remember that these rows are hidden by default, so we need click the ‘expand’ button to see the other buttons. That’s why it’s better to place your buttons on the first row if possible; to ensure that they remain in easy reach. Removing existing buttons is very easy – instead of adding an element to the table, we just remove it. The buttons are indexed in the table in the same order as they are visible in the editor. Thus, the above code will remove the button that adds the bold effect to the text. This mode is characterized by the simplified structure of the editor – restricted to just the one row of buttons. It causes a change in the filters that we use. Instead of mce_buttons, mce_buttons_2, mce_buttons_3 and mce_buttons_4 filters we have just one; the teeny_mce_buttons filter. Additionally, we may restrict loading plugins in this mode by using the teeny_mce_plugins filter. It could easily be argued that we’ve overdone it slightly by defining the separate scripts for just two buttons. If we want, we can create two buttons using just the one kind of button – ButtonGroup. As you can see, the content of list of elements is very similar to the list that is used in a submenu button. 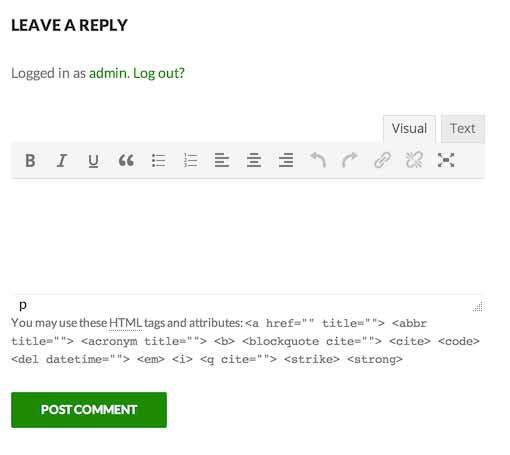 It may be that you wish to display a WYSIWYG editor instead of the standard comments editor in the comments section. Fortunately, we can achieve this very easily with just a slight modification to the functions.php file of our theme. 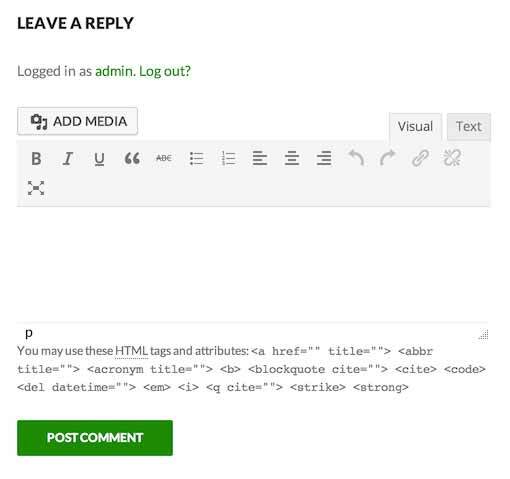 As you can see, we use the commentformdefaults filter as well as the function to catch the output in PHP. 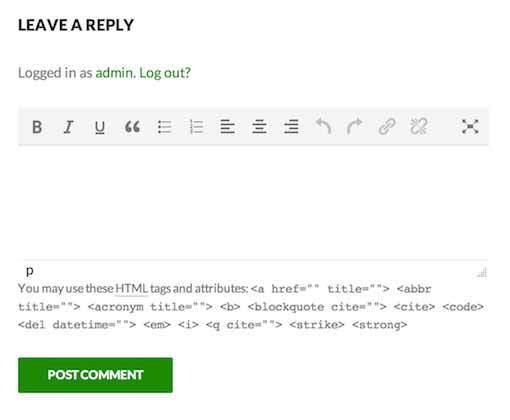 As a result, we are able to replace the standard field with the content of the TinyMCE comment editor. Another important thing is the use of TinyMCE’s teeny mode. 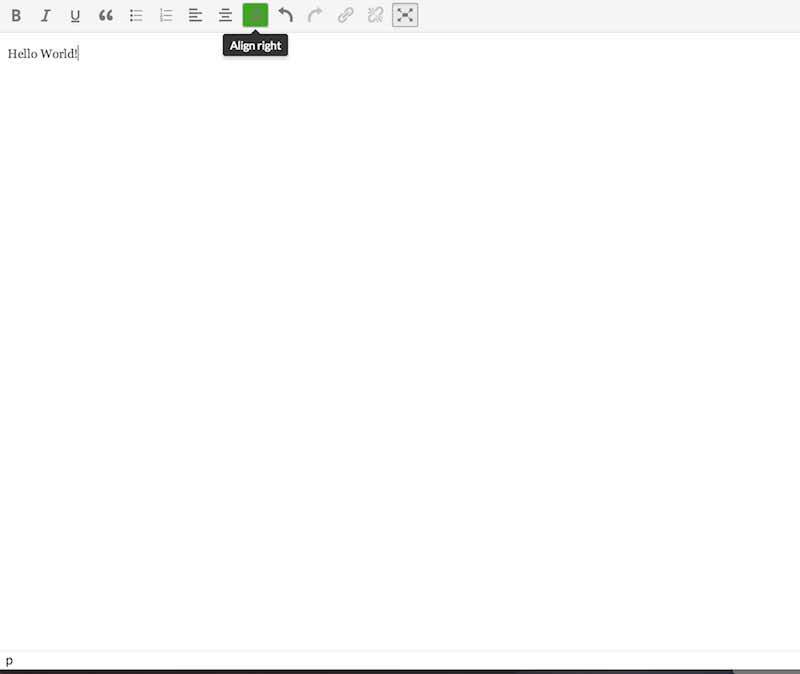 This mode allows you to display a simplified version of the editor. Which makes the full-screen mode look and feel slightly better, at least in my opinion! It has a visible way to return to the normal editing mode, unlike the standard full-screen mode, which can reduce confusion. 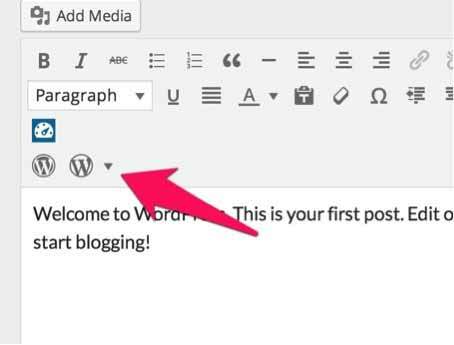 WordPress has for some time offered a full-screen mode when creating posts or pages, which allows you to focus solely on writing (in some editors this mode is called “Zen mode” or simply “Distraction Free Writing”). 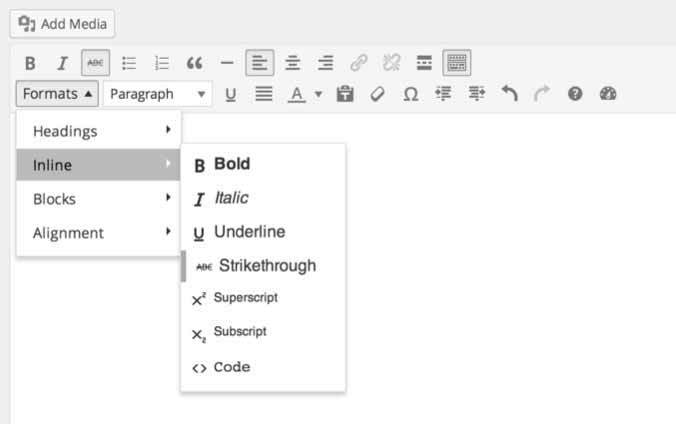 If you or your users are interested in utilizing the full-screen option, it’s worth learning how to add your own buttons to this mode of the editor to enhance or simplify the writing experience. However, we must stress that adding buttons to the full-screen editor is quite different to adding buttons to the standard TinyMCE editor. Which is responsible for adding our button – as you can see we’ve used the wpfullscreenbuttons filter instead of the standard one: mce_buttons. The styleselect control, which allows easy formatting of the selected text, is hidden by default in the TinyMCE editor. The reasoning behind this decision is that the control duplicates the functionality of the other buttons and is thus superfluous. However, with a little bit of modification, it can be used for your own purposes. Looking at the content, we can see that many of the available styling methods are combined with the default styling formats, which makes everything a little hard to keep track of. 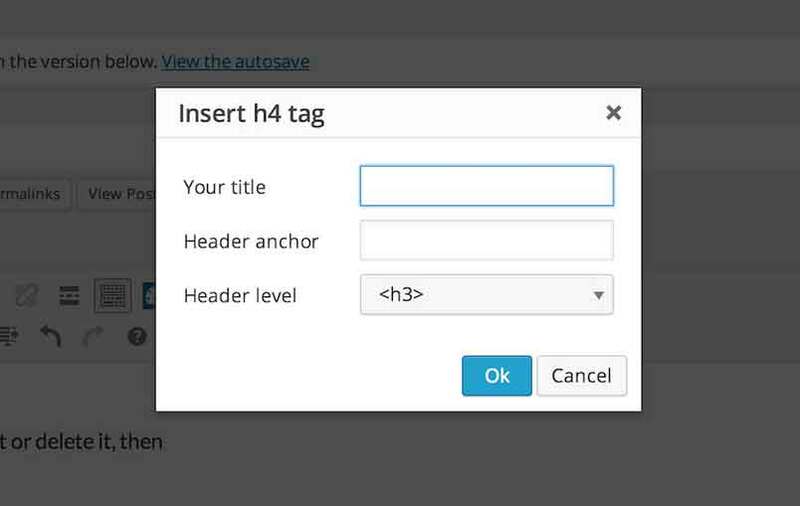 Fortunately, we may easily change it, making this control the easiest way for wrapping a selected text fragment with your own HTML tags. As you can see in the style_formats settings we define our own array in the JSON format. Each element of the array contains three main properties – the name of the submenu item (title),the name of the HTML tag (block) and the CSS class to be added to this marker (classes). In the entry connected with the styleselect I explained how to enable this disabled by default button. TinyMCE has lots of other buttons disabled in this ways. In this entry I will show you how to enable them. The control already known from another entry. 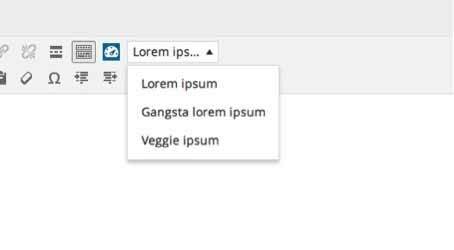 Other controls can be useful only if we have a very stubborn customer, who wants to be able to easily control the style of the text inside the editor without the use of CSS code (I strongly discourage, but we have our ups and downs). Cut, copy and newdocument are basically controls only for those who are not able to acquire the keyboard shortcuts, but I hope that they are a small fraction of WordPress users. When creating a popup with settings that is assigned to one of our buttons in the TinyMCE editor, it is prudent to implement data validation in the popup’s fields to prevent a user from entering invalid or incorrect data. A simple data validation check can easily be created, though if you also want to highlight the incorrect fields to help the user fix the data then a little more effort and workarounds will need to be employed. After seeing such information a user should be aware that something is wrong with the data inserted in the fields, but it is worth highlighting the incorrect fields so that the user knows exactly what needs correcting. In order to make it work, we will have to create a more sophisticated code that will allow us to add a frame around elements that are incorrect. I have searched for an elegant solution to this issue, but it unfortunately was not possible to achieve without utilizing some object’s properties that, based on their names, should be private. From what I could gather, there is no more convenient method available. In the above example, we’ll add a red frame to the first text field in a form. Unfortunately, from my observations it seems that the onclick event is the only one that works – so we cannot use the onblur or onfocus events. What if we need more events for form elements? It is clear that the default events in TinyMCE do not give us much freedeom to create diverse popups with complex logic. Luckily, there is a workaround we can use if we need to an additional event e.g. onblur or onfocus to our fields. A popup created in TinyMCE requests the repaint event at least twice – by hooking on to this event we can overcome some of the limitations of our popup. I would like to make you aware at this point that requesting the repaint event a few times is a sensitive matter – therefore, in the above code I created a simple mechanism for checking whether it was requested once only. After the first request of this function, there is a form-initialized class that is added to the popup that prevents our code from being requested again. Thanks to this, we will avoid among other things problems with double-added events. By using the above method, we may create diverse logic for our form in a popup. The main burden we must deal with is access to the form’s fields – various fields types have various classes and we not only have to select everything correctly, but also use it appropriately too. It does not change the fact that creating validation for TinyMCE popup content is possible, however, in the case of more complex forms, it requires complex code to overcome since the TinyMCE API is lacking in this regard. This tutorial is huge, complex, and took a very long time to write, yet it only scratches the surface of the TinyMCE API. We’ll continue to experiment with the editor, and add any new information here so that it can be shared with the world! We hope this tutorial has proven useful, and if there’s something you’d like us to look at in a future article just leave a comment and we’ll see what we can do.